Are you happy that it's Friday? I sure am! So far, my Friday has been filled with love, laughter and poop. Yes, poop. A lot of poop. Piper had a diaper blow-out, and so she got a morning bath. Que the love and laughter. This girl is just too cute. I was really excited to receive a package in the mail this morning! 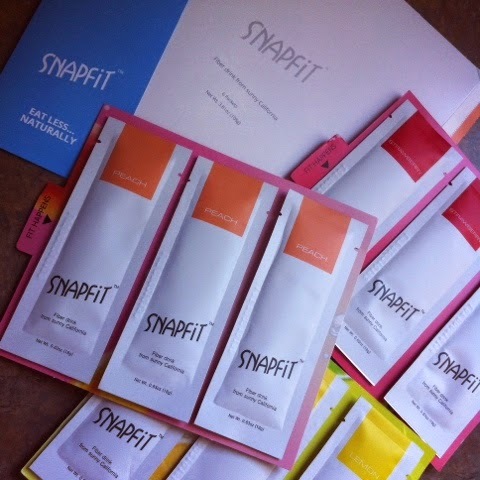 SnapFit sent me their new fiber drink to try, and I can't wait to share my review with you, soon. Tomorrow is the last day of my water challenge for the week. I did fairly well, just missing the mark on two days, by about 32 ounces. I'm determined to meet my water goals today and tomorrow, and will be on to reaching a new goal come Sunday! How are you doing with your goals for the week?